ATOM System (Averitt Transportation and Operations Management System) is the remarkable result of Averitt's partnership with the industry- leading software provider, Oracle®. We combined our 40 years of shipping expertise with its cutting-edge transportation management technology, plus industry-defying principles of collaboration and carrier-neutral logistics, to create an all-new service that revolutionizes your shipping experience. ATOM System has brought new ideas and practices to the industry that restructure the way companies think about transportation. With ATOM System, your transportation management is an ongoing process of planning. Every time you ship, more data is collected, analyzed, and applied to the next planning session. That means while your supply chain is optimized during every shipment, the optimization itself gets smarter and smarter as ATOM System continues to learn, track, measure, and grow. 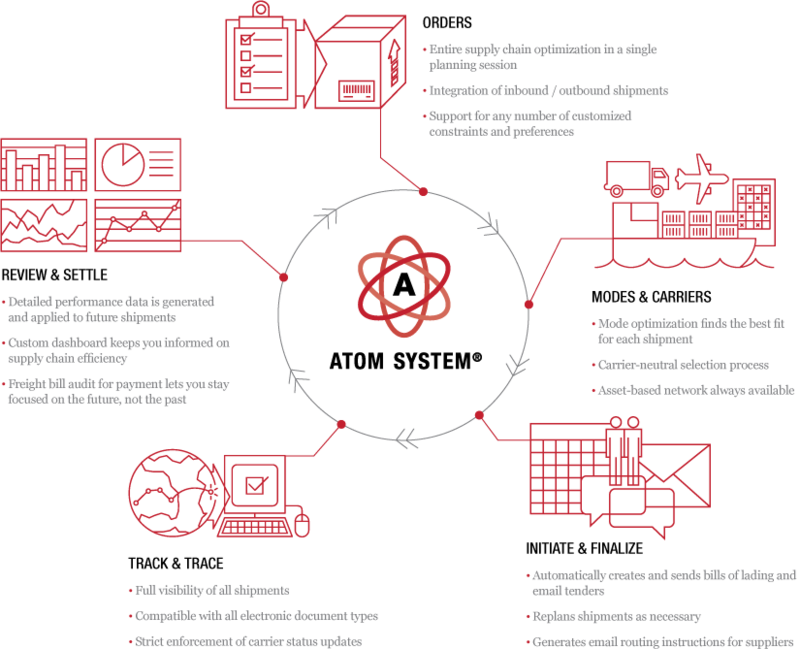 To learn how ATOM System can give you complete control over your company's shipping, visit ATOMSystem.com. > For more information on ATOM System, contact our ATOM System sales team.